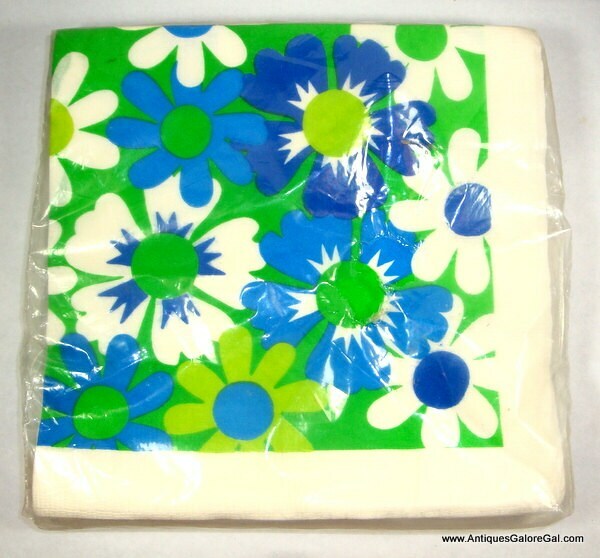 Unopened package of retro napkins in a bold blue, green and white floral design. You will receive 16 facial quality 2-ply napkins by New Party Papers. These are non-toxic and pre-tested for color fastness. If you plan on using these with cocktails or crafting, alcohol may cause the colors to run. Measure about 6 1/2" square as shown in the photos. Opened up they measure 13" x 13". More napkins? Combined shipping available. Love my new little owl friend, the detail is quiet good, a nice wise friend. I think the owl arrived in about 5 days, that is good service, so, Kudos to the post office too.